Two major developments are aligned to the government shutdown in the United States crisis that are reminders of the roles that Strategic Human Resources Management plays in human society. The two developments underscore the role of new management that says human resources departments don't have to spend their time on just ensuring compliance with rules and regulations, but must also learn to act as strategic partners. The Office of Personnel Management acted as a strategic partner by its act or decision to enable the IRS pay refunds to millions of Americans during the shutdown. But the Congress failed to act timely to save furloughed workers from the grinding experience of working without pay. While did not the Congress passed the bill before the shutdown for workers to be paid during the shutdown and not after the shut down? "Agency leaders need to understand how their workforce will be affected by impending changes and plan for their human resources needs," Joan E. Pynes writes in Human Resources Management for Public and Non-Profit Organizations. The partial government shutdown that is in its fourth week did not happen in a whim. President Trump warned weeks ahead before the shutdown that there could be a shutdown, if the Congress failed to make money available for the wall. 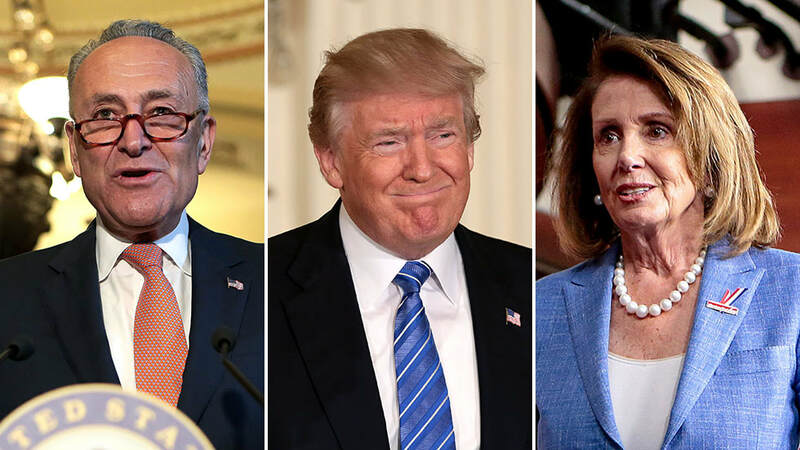 The nation watched President Donald Trump, Nancy Pelosi and Charles Schumer sparred in the White House over who would be responsible for the shut down. Many people are saying that the Congress did nothing to protect the poor workers, because the legislators' pay are not affected by the shutdown. And that if the legislators pay and allowances are impacted, the rules would have been changed long time ago. The country's long history of government shutdown should have prepared the country's human resources managers to change the rules and regulations as it affect workers during shutdown and let the public sees the legislators reaction to it. It is unpardonable for law makers to expect workers to continue working without pay and for them not do anything to quickly remedy the situation, and a large number of them are shamelessly lining up to run for the office of president in 2020. Just as Democratic Party law makers are reported to be in Puerto Rico enjoying themselves amid the shutdown, Pelosi is reported as having said that whether President Trump reopens the government or not to allow room for the Congress broker a deal with the White House, there will be no agreement to fund the wall. Meaning that these workers are expected to continue to work without any hope of their fate engaging the Congress, especially the Congress that is making so much noise about how the shutdown has affected over 800,000 workers and laying the responsibility on the president as if the Congress has played no role in the shutdown. They approved a bill to ensure workers get paid well after the shutdown, and they are not making any effort to ensure government reopens. Is holding a nation to ransom an acceptable political or human resources strategy? Why cannot this Congress prove to understand what is at stake with this shutdown as it concerns workers, and say for once that for the love of workers, they will work out a deal with the White House to accommodate the wall and reopen the government. But for the lack of the strategic partnership, the workers are made to become the land that suffers when two elephants fight. This must come to en end. This Congress must not only act to end the impasse over the wall, it must also work to pass a bill that will ensure no worker loses any pay over shutdown that is not their making. It does not make any sense passing a bill for workers to be paid after government reopens and not when they are working though the government is shut. Unless the Congress will change the rule as it affects the legislators for them to be on the same footing as the workers. Congress must change the rules that any worker that works during shutdown be paid during shutdown or that all workers continue to be paid during shutdown. Strategically, political interests of legislators may shift from time to time, making it possible for them not to believe in what they earlier believed, like many Democrats believed in the wall or fence earlier and no longer believe in the idea again. But workers should not be scapegoats. There is no form of management that approves scapegoating as a science. If politicians want to fight, they should not make workers to pay the price for their fight. A fight caused by decision of opposition legislators to suddenly refuse to believe in the wall or fence that they earlier believed, because they wanted to deny the president the right to fulfill a genuine campaign promise.